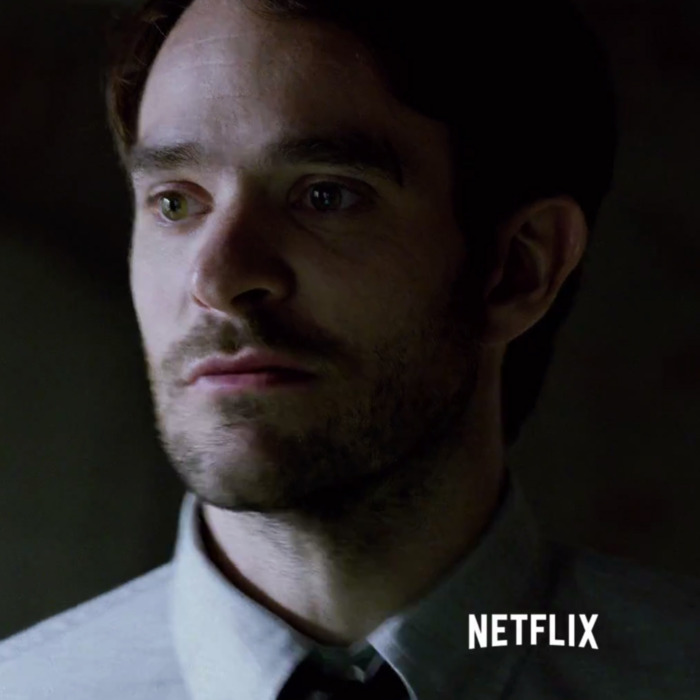 Still from trailer for Daredevil. Marvel Entertainment. How do you write disappointing and formulaic in Braille? The first full trailer for Netflix’s upcoming Daredevil series — based on the long-running, crime-fighting, blind Marvel Comics character of the same name — finally appeared today, and … hoo boy, I really hope it’s not representative of the final product. There have been dozens upon dozens of great takes on the character since his 1964 debut, but this trailer ain’t one of them. I’m maintaining cautious optimism, but I’m beginning to dread that the show might squander DD’s uniqueness and turn him into a watered-down clone of Christopher Nolan–era Batman. C’mon, Marvel! Daredevil is not Batman! Sure, there are overlapping themes: high-society man by day, criminal-beater-upper by night; dead parent; ninja training. But through the decades, classic Daredevil writers like Ann Nocenti, Brian Michael Bendis, and Mark Waid have worked their butts off to distinguish the two characters. Even Frank Miller, who wrote iconic and dark tales with both characters in the 1980s, depicted them with fundamental differences. For one thing, Daredevil is, at his core, an optimist: As his alter ego, lawyer Matt Murdock, he works to bolster a legal system he believes in, even if he thinks it sometimes needs his unique brand of supplementation. Batman, on the other hand, is usually depicted as someone who thinks the world is fundamentally broken and it’s his job to single-handedly hold it all together. Daredevil is also capable of true joy. Batman doesn’t smile or crack wise — he spends 95 percent of his waking hours brooding or merely pretending to be happy when he’s out of costume. But Daredevil (especially in his fantastic current iteration, written by Waid and eloquently endorsed by io9), though tortured and often depressed, is also a swashbuckler who often revels in the company of his friends, his lovers, and the city he loves so dearly. He’s not cold-blooded like Batsy — his blood runs hot, often to a fault. Excerpt from “Daredevil: A Bonus Tale.” Art by Marcos Martin. And when he’s done best, his distinguishing trait is not an insatiable hunger for vengeance. It’s a desire to overcome obstacles and help others to do the same. Batman’s core mythology is all about privilege: He’s born into untold riches and is always the smartest, best-prepared guy in the room. Daredevil, though he may be a rich lawyer when things go well for him, is still a man who was born into poverty and, ever since a childhood accident that robbed him of his sight, has struggled with being disabled. Sure, he was also granted enhanced versions of his other senses, but he knows others aren’t so lucky when life deals them a bad hand — and that pushes him to build a better community around him. 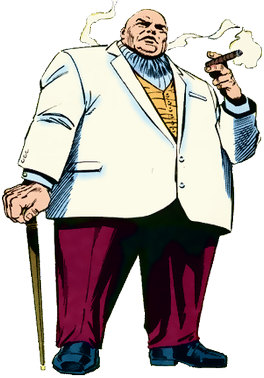 If there’s hope in this trailer, it comes from Vincent D’Onofrio’s depiction of Fisk, better known in the comics as the Kingpin. His opening voice-over, in which he speaks of how he also wants a better city, rings astoundingly true for a Marvel fan. Fisk isn’t the unpredictable, casually homicidal Joker. He isn’t the condescending, emotionally removed Ra’s al Ghul. When done well — which he is here — Fisk is as passionate as his arch-foe. It’s not a wild, cackling passion. It’s a controlled, laser-focused passion. He’s as comfortable at an art gallery as he is in a street fight, because it’s all of a piece for him: He appreciates beauty and commits crimes not because he’s rapacious, but because he thinks he’s his own kind of artist — one who creates a better community through influence and brutality. Also, D’Onofrio looks the part better than I could ever have hoped he would: He seems like he was plucked directly from the pencils of Daredevil legend David Mazzucchelli. So I haven’t even come close to giving up on the Daredevil series. There’s so much creative potential for the character, and Marvel is nothing if not observant of its back catalogue. Here’s hoping this overly dark (literally and figuratively) trailer was just a way to lure viewers in with what they’re used to, only to surprise them with the refreshing twist on superhero storytelling that we all deserve — and that only Ol’ Hornhead can deliver.